Schedule GMB Posts, Track Snack Pack Rankings and Manage All Of Your Google My Business Properties From One Easy To Use Dashboard. The Platform Built To Showcase Your Google My Business Results. Create your GMB content calendar with Local Viking. From multi location posting, spintax support to automatic post daisy chaining, Local Viking is the most advanced GMB posting software on the market. 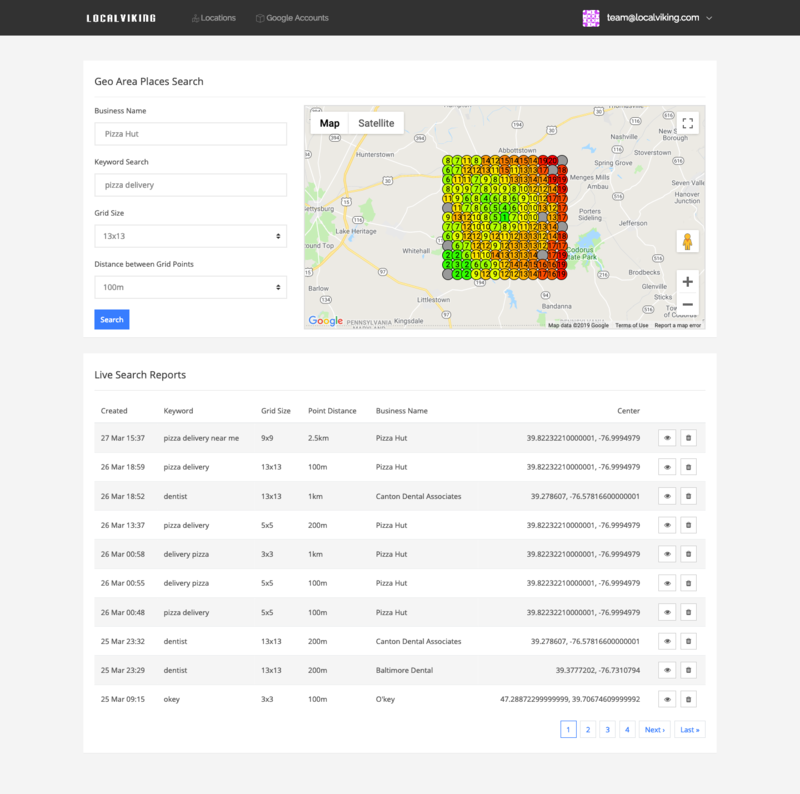 Manage all of your locations, directly in one dashboard. Upload images and media, update location information and protect from malicious edits. Track rankings and visibility for all of your locations. Traditional rank tracking directly integrated into your dashboard with GeoGrid rank tracking running historical archives and live searches. Create new posts for all of your GMB properties from a single dashboard. 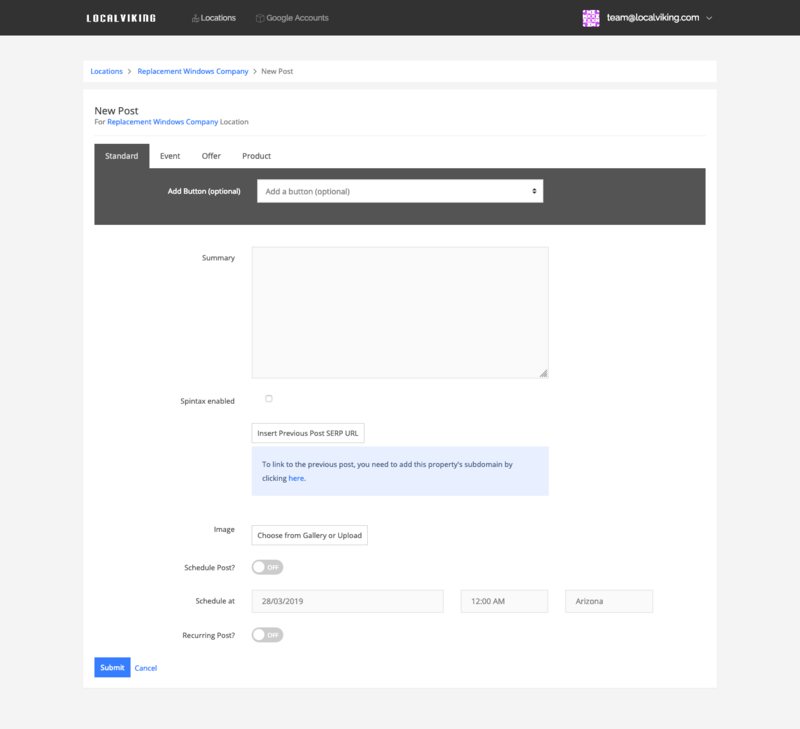 Monitor how your GMB performs in local search results..
Edit and sync GMB information for all of your properties in one place. 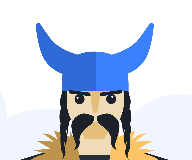 Feature updates, local SEO tips and general announcements from the Local Viking team. What you need to know about rank tracking in 2019 and beyond. Feature Update. Subscriptions and keyword packages can now be paid with using PayPal. Blog Post. 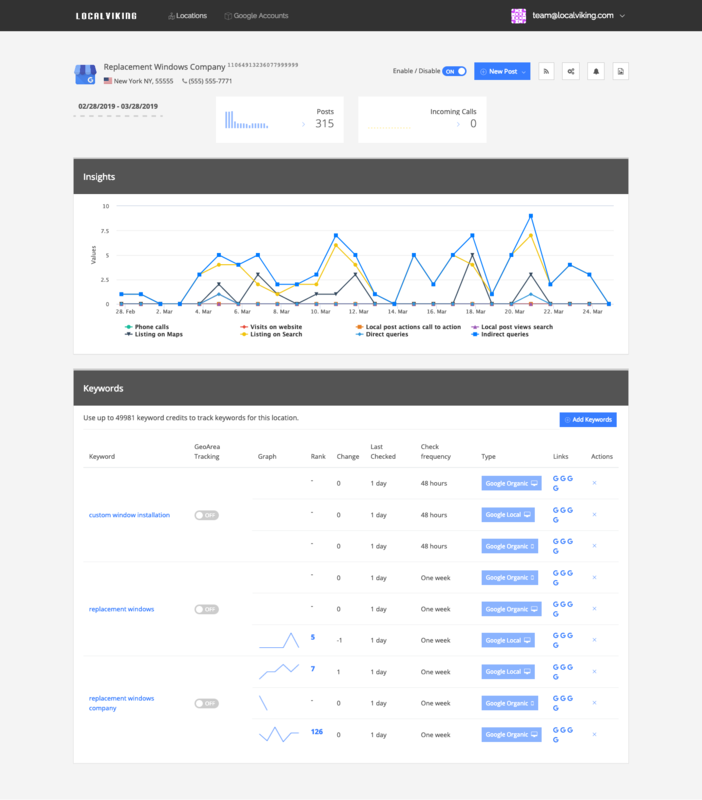 Overview of the Google My Business platform. Blog post. Photo optimization tips for your GMB listing.